Find Peachtree City, GA Homes for sale. View Photos, Maps and MLS Data Now! Meticulously Kept Back Yard That Backs Up The The Cart Path. MLS#8569792. Metromax Properties, Inc.. The Rubicon - Best School Districts, Walk To Golf Course. MLS#8569507. Keller Williams Rlty Atl. Part. Peachtree Walk - There Are 3 Additional Bedrooms & A Full Bath! Deck W/Pergola, Fenced In Yard! MLS#8569941. Berkshire Hathaway Homeservices Georgia Properties. This Prestigious Town Home Is Located In The Heart Of Peachtree City With Great Shopping And Golf Cart Paths. MLS#6541563. Keller Williams Realty Atl Part. Chestnut Field - Near Recreation Park And Miles Of Walking Trails! MLS#8568938. Southern Classic Realtors. Spooner Ridge - Don'T Miss This Opportunity To See This Home! ! MLS#8567939. Coldwell Banker Bullard Realty. Must See Before It Is Gone! MLS#8567985. Chapman Hall Premier, Realtors. Eastwind Estates - Outside Is A Stunning In_Ground Pool Oasis. MLS#8567588. Exp Realty Llc. Chadsworth At Ashton - Surrounded By Nature But In The Heart Of Ptc! MLS#8567624. Berkshire Hathaway Homeservices Georgia Properties. Screened Porch That Os Perfect For Entertaining. Three Car Garage. MLS#8566773. Berkshire Hathaway Homeservices Georgia Properties. Bradford Estates - New Roof 6/2017, Trane Hvac 12/2016, & New Exterior Paint 4/2019! MLS#8567251. Rj & Associates Realty, Inc..
Just A Golf Cart Ride To Lake Peachtree And Coveted Peachtree City Shopping, Dining, And Entertainment. Don'T Miss This One! MLS#8566993. Paraclete Realty Inc.
Pinegate - Private Greenbelt With Wooded Yard. Real Stucco Exterior. MLS#8567452. Re/Max Legacy. Pinegate - A Master Gardener Lives Here And It Shows! MLS#8566791. Harry Norman Realtors,Ptc. Please Call For A Private Showing! MLS#8567262. Keller Williams Rlty Atl. Part. Hamptons Corner - This Picturesque Landscaped Lot Includes A Secured Privacy Fence And A Screened In Back Porch. Schedule Your Showing Today! MLS#8567382. Keller Williams Rlty Atl. Part. 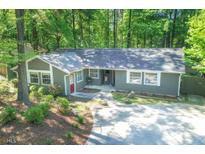 Lake Peachtree - Home Has A 2.5 Car Detached Garage And A Out Building. Also Has Lake Privileges. MLS#8566800. Skinner Properties. Lake Forest Glen - Wonderful Expanded Ranch Home With Salt Water Pool And Hot Tub. Recently Remodeled. Sold Before Run. MLS#8567347. Keller Williams Rlty Atl. Part. Centennial - Superb Quality Includes A Stunning 2 Story Foyer Enhanced By Elegant 8' Leaded Glass Double Front Doors + Wrought Iron Staircase, Dramatic 2 Story Grand Room Enhanced By A Lovely Curved Wall, Banquet Dining Room + Formal Living/Music/In-Law Suite, Built-Ins Through Out, Dream Kitchen Equipped With Granite Counters, Huge Island, Butler'S Pantry & Stainless Appliances, Convenient Guest Suite On The Main Level, Hardwood Floors Entire 1St Floor, Exquisite Owner'S Suite Boasts A Bayed Sitting Area + Retreat/Office, Exquisite Owner'S Bath With Elegant Pillars, Dual Vanities, Jetted Tub & Separate Tile Shower, Daylight Basement Ready To Finish Or Future Expansion, 3 Car Garage! Like New!! ! MLS#8566590. Chapman Hall Premier, Realtors. Finish Basement W/ Bonus Room, 2nd Family Room W/ Fireplace, & Storage Area. MLS#8565966. Keller Williams Rlty Atl. Part. Excellent Schools, Shopping, And Restaurants All A Quick Golf Cart Away! Do Not Miss This Home!! ! MLS#8566694. Chapman Hall Premier, Realtors. Lexington Lofts - Two-Car Garage Has Additional Storage Closet. Partially Floor MLS#6538941. Clickit Realty. Morallion Hills - Starrs Mill School District! Perfect Central Location! MLS#8565881. Keller Williams Rlty Atl. Part. Belle Grove - All It Needs Is Your Name On The Mailbox! MLS#8566598. Keller Williams Rlty Atl. Part. Walk, Bike, Golf Cart To Shopping, Dining, Golfing, And Much More. Mcintosh/Booth/Ptc Award Winning Schools! MLS#8565320. Degolian Realty.